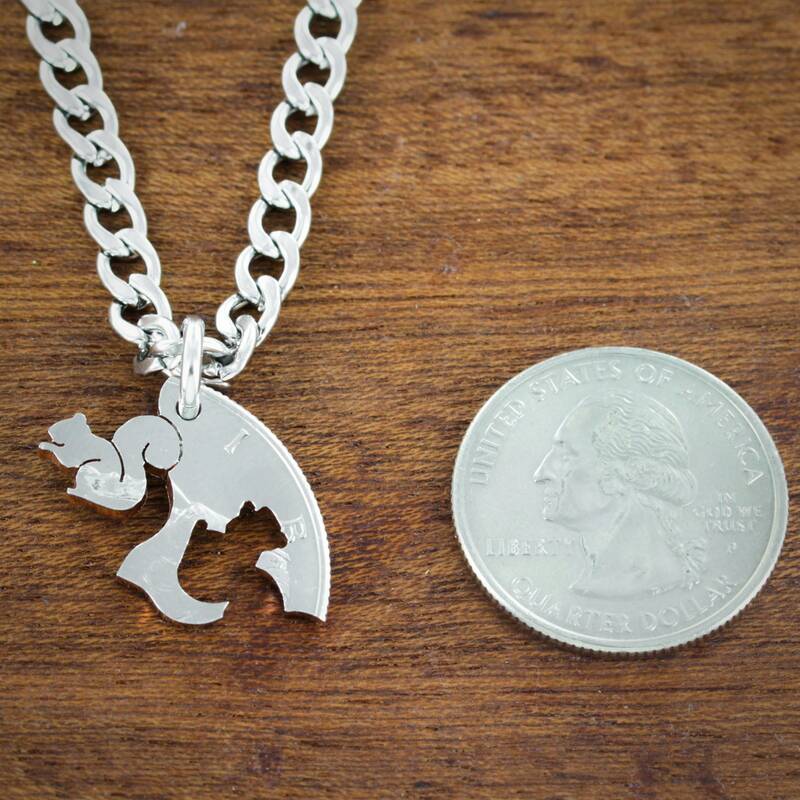 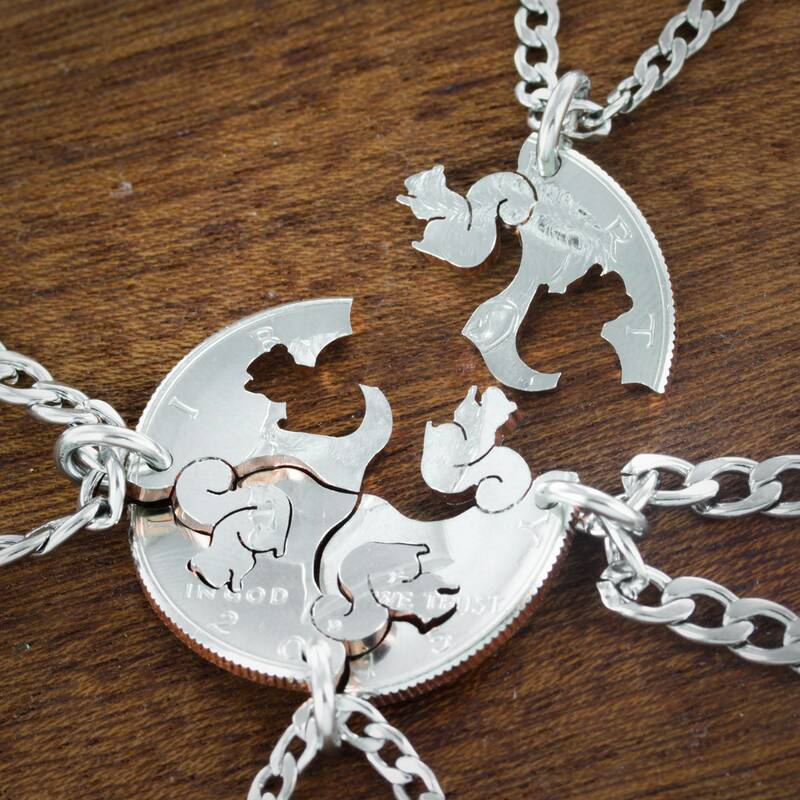 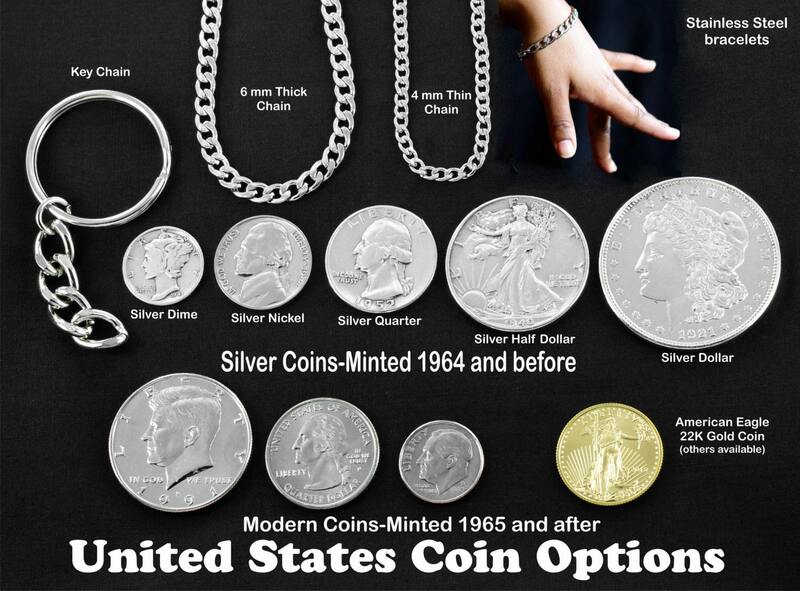 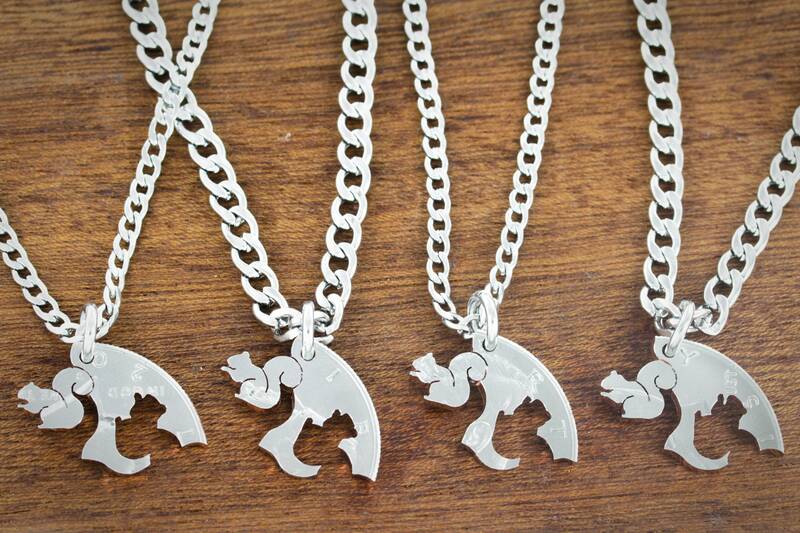 We have hand cut a 4 piece necklace set from a real half dollar so each piece holds the shape of a squirrel and connects together to form the whole coin again. 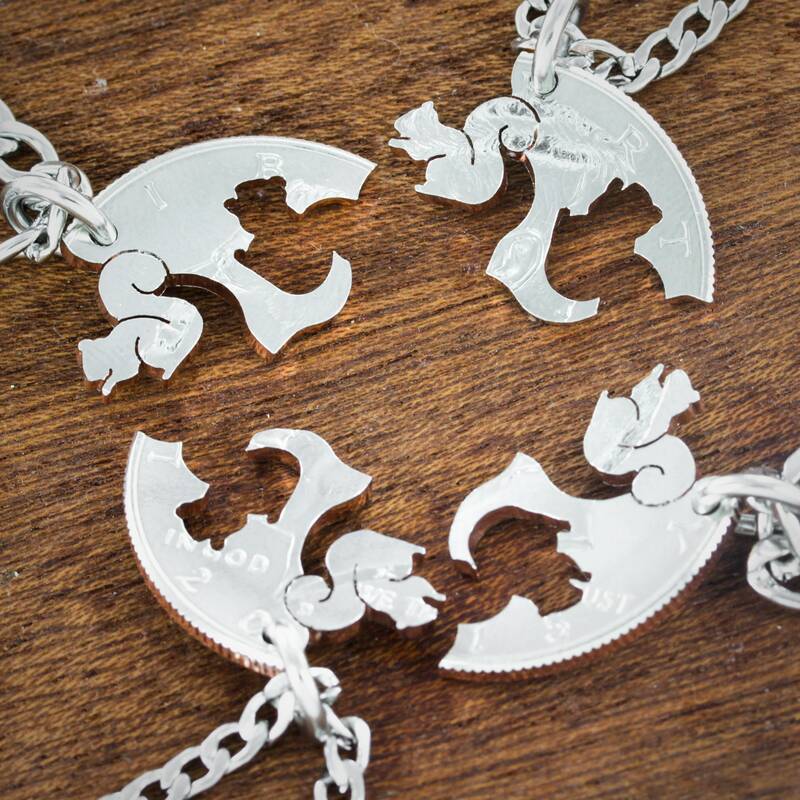 Your Squirrel Squad coin set is made just for you. 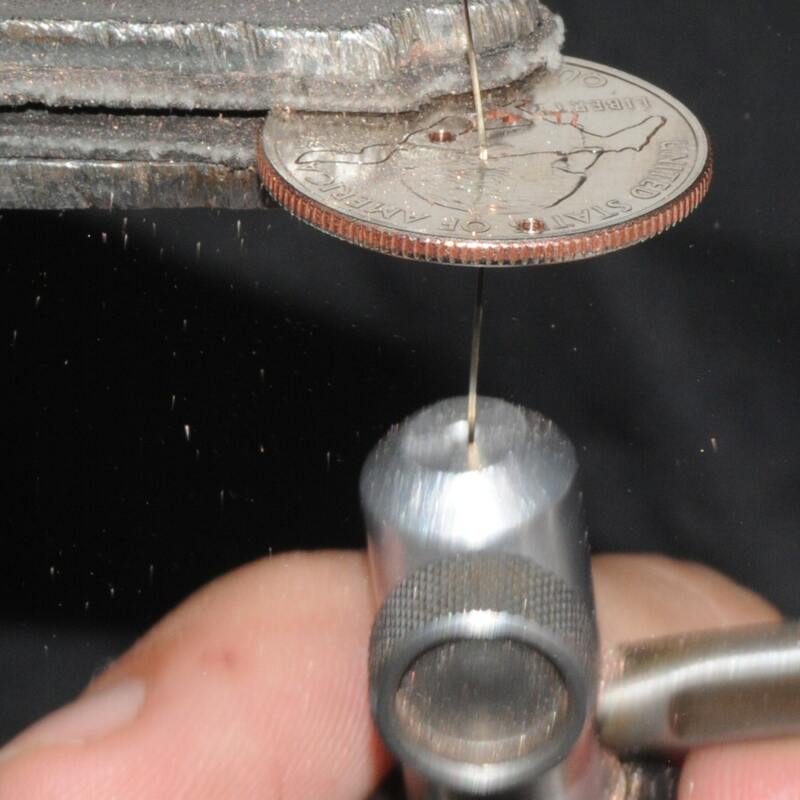 A skilled craftsman works on each coin to ensure quality, first starting with holes from a drill press and then hand cutting each line with a Jeweler's Coping Saw.